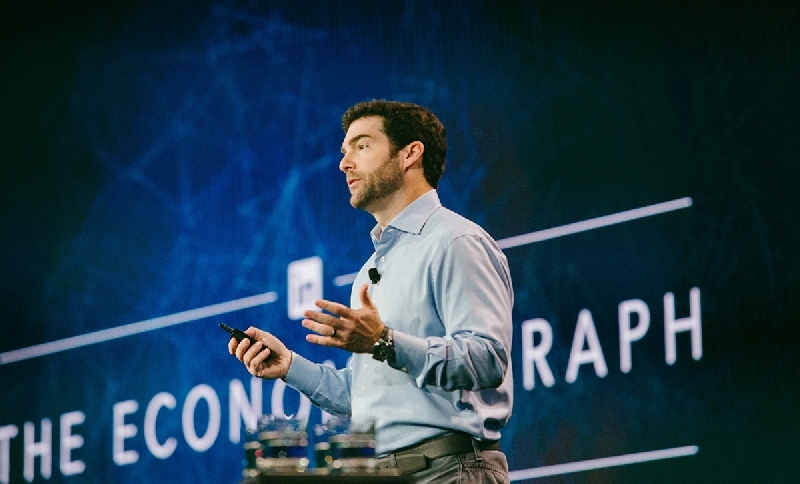 At the eighth-annual https://business.linkedin.com/events/talent-connect" target="_blank" rel="noopener noreferrer">Talent Connect in Nashville, LinkedIn CEO https://www.linkedin.com/in/jeffweiner08/">Jeff Weiner shared his view on the most important trends impacting the global workforce. Middle-skill jobs in industries like manufacturing, hospitality, food services, and retail trade are most prone to disruption, Weiner said. He gave the example of Shake Shack. Just this week, https://www.cnbc.com/2017/10/02/shake-shack-to-open-a-cashless-kiosk-in-new-york.html" target="_blank" rel="nofollow noopener noreferrer">the hamburger chain announced they are going cashless and replacing cashiers with kiosks; a clear example of technology displacing workers. Right now in the United States, there are more than https://learning.linkedin.com/blog/learning-thought-leadership/the-skill-gap-exposed-in-one-simple-chart" target="_blank" rel="noopener noreferrer">6 million unfilled jobs – the highest number since the Department of Labor started tracking the statistic. And yet, 7.1 million people are unemployed in America and 13.9 million are seeking more work. Specifically, he pointed to LinkedIn’s https://www.linkedin.com/economic-graph" target="_blank" rel="noopener noreferrer">Economic Graph. By having a digital representation for each professional, skill, job, school, and organization in the world, LinkedIn can give the data professionals need to move their career or their organization forward. For example, say you are a mechanic in Boise, Idaho looking for work. By using LinkedIn data and https://www.linkedin.com/learning/" target="_blank" rel="noopener noreferrer">LinkedIn Learning, you can both identify and learn the skills you need to advance your career and find the best areas in the country to look for a job. Conversely, for organizational leaders, https://business.linkedin.com/talent-solutions/blog/product-updates/2017/announcing-linkedin-talent-insights" target="_blank" rel="noopener noreferrer">by using the new Talent Insights product you can identify the skills your organization has, teach the skills your organization needs and identify where you should best recruit new talent. Perhaps you are like one of those car companies in Detroit moving to more of a tech focus; you can both teach your organization the skills you need and identify the best areas and schools to recruit new talent.